IVF Pasteur Pipets are specifically prepared for the IVF laboratory for a variety of uses. These IVF Pasteur Pipets are made from high-purity borosilicate glass and have fire polished tips, so they will not scratch your dishes. 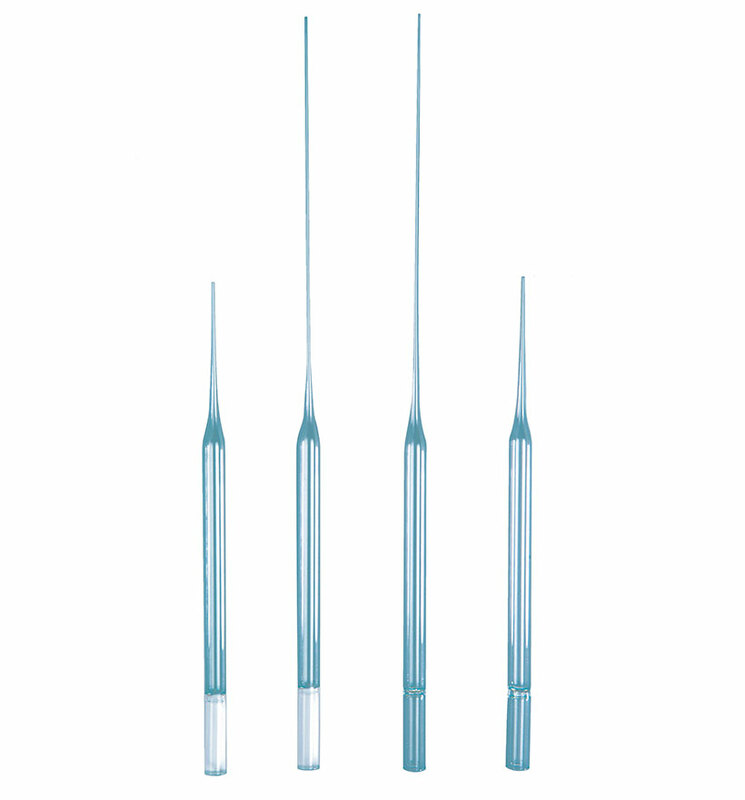 The IVF Pasteur pipets are available in two standard lengths with or without a cotton plug. The convenient packaging is compact and allows user to easily remove one pouch at a time while leaving the other pouches protected. The pipets are also available in a bulk package. Fire polished tips – no scratching of dishes! Please always contact your local ORIGIO representative to confirm local availability. Do the ORIGIO IVF Pasteur pipets have a polished edge? Yes they do. This benefits you when working with plastic ware, as the tips will not scratch dishes and tubes. What is the inner diameter of the ORIGIO IVF Pasteur pipets? They are specified to be in the range 0.7 to 1.1 mm inner diameter. What type of quality testing is performed on ORIGIO IVF Pasteur pipets? The pipets are MEA (mouse embryo assay) and endotoxin tested. What type of glass is used for the ORIGIO IVF Pasteur pipets? Our IVF Pasteur pipets are manufactured from high-purity borosilicate glass. This type of glass minimizes risk of any uncontrolled substance leeching into the medium used for gametes and embryos.